Enterprise cloud applications are becoming a maze to navigate. We'll help you find the right solution to fit your business needs and deliver the most value to your organization. Moving to a cloud based solution can yield enormous savings and efficiencies for your organization, however, transitioning to the cloud requires requires careful planning. Failture to properly prepare can result in implementation delays, security risks, compliance issues or even worst, loss of key functionality and data. HR Cloud Platform Overview: Gives you an overview of the leading HR cloud technologies (SaaS, IaaS & PaaS). We’ll help you understand different cloud management solutions. Best Practices: Shows you best practices in cloud implementations that are relevant to you. 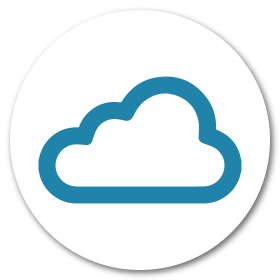 Cost Savings: Identify specific savings and benefits the cloud will bring to your business. Cloud Ready Candidates: Identify services and applications that can cost-effectively move to the cloud to reduce the On-Premise software burden on your infrastructure. Risk Factors: We’ll indicate the risks and what can be done to minimize them, and address concerns surrounding security, scalability and accessibility. Implementation Strategy: Outlines a custom implementation roadmap and impact on your legacy applications. Vendor Selection: Which cloud vendors will provide the best service given your needs. Diagnose the current state of your systems, integrations and business processes. Host a workshop with your team to identify the gaps. This typically occurs over 2-3 weeks. Make specific recommendations and solution candidates including processes and applications that can feasibly move to the cloud, and an overall vision of whether you need a full cloud or hybrid approach. We'll provide customer case studies of organizations similar to you, so that you can see how they leveraged the technology and achieved ROI.